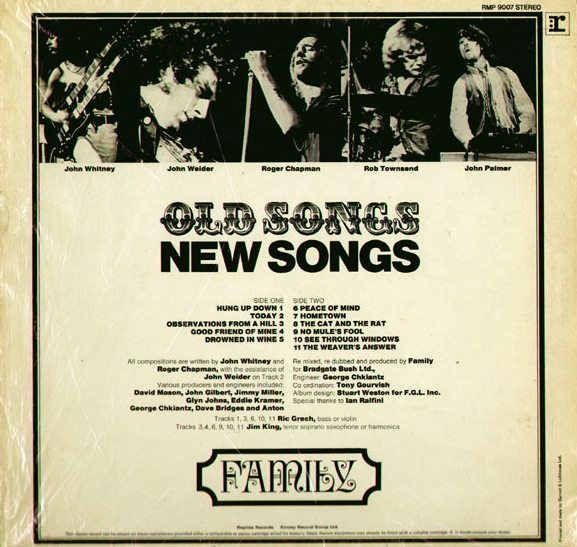 Old Songs New Songs is a budget-priced compilation album released in March 1971. The title is taken from the title of a song that appeared on the band’s 1968 debut album Music in a Doll’s House, although that song does not appear on this record. Highlights of this package were songs previously released on 45rpm records only (marked by an asterisk) and four tracks from the sessions of their second album Family Entertainment partially re-recorded and remixed for this release. Those four tracks are: “Observations From a Hill” with Roger Chapman on lead vocals, rather than Jim King as featured on the original release, “Hung Up Down”, “Weaver’s Answer” and the single B-side “Hometown”. 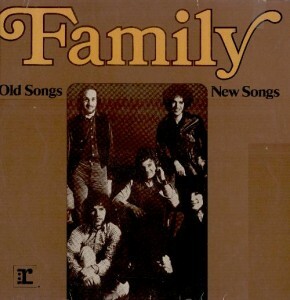 Roger Chapman and Charlie Whitney were quoted in ZigZag magazine (reprinted in both the interview anthology book “The Road To Rock”, and also the “Old Songs New Songs” cd box set which includes this album) stating how they disliked the mix of the album Family Entertainment where most of these songs originally appeared. So they re-recorded a number of vocals and elements and remixed those tracks for this release. American release was only on 8-track and cassette tape.